This page provides an overview of various mechanisms and procedures which are involved. It is not designed as a set of do-it-yourself instructions. Many things are best explained, performed or demonstrated face-to-face, when they become appropriate. Most techniques are used only when we believe there is a need. They are not rituals to be followed blindly or obsessively. During the first session, the aim is to encourage the awakening of a subtle inner energy. Some of this should move up the spinal chord, into the brain and then pass through the crown of the head. A connection is made between the individual's consciousness or nervous system and the world outside of their body. Wikipedia's page on Yoga explains that, in its most common literal sense, Yoga means "to add", "to join", "to unite", or "to attach". This connection establishes a new and beneficial condition, a state of Yoga. What will be experienced? That is an individual issue. The experiences cannot be predicted. It is necessary to try and then see what works out. One common result will be that the brain starts to relax and to have less thoughts. Thoughts may even stop completely for a while. This is Meditation.​ Normally the body will relax before the brain does. No fixed process is followed to awaken the inner energy. What is needed depends on the place and the people present. External factors may also have an influence, such as the weather and the day. "All this will not be understood by explaining. Just showing the path will not help. The path will be known only after walking on it. When I get your letters, I fix the targets. After some time, even that will not be necessary. But for the present, all should write about their own experiences and progress." During later group sessions or when practising at home, there are some important hand movements to use. These will encourage the subtle energy to flow more strongly and also provide some protection to our body, both outside and inside. This energy is really a consciousness, which understands us. It can help, in relation to correcting various imbalances or damage that we may have. We may have subtler experiences and develop deeper understandings about life. Some time must be found for Meditation. You have to walk along the path. Something every day is best. If you are too busy for that, well yes, you are too busy! However, being pragmatic and seeing how hectic and distracting modern life can be, try to meditate several times per week. Don't feel guilty if you miss for a while but just find ten to fifteen minutes here and there and you will surely benefit. One person sits, hoping to achieve or to deepen a state of Yoga or Meditation. Another person stands or sits nearby, in order to assist. The helper will identify some areas in which the energy processes of the first person need some adjustment or strengthening. Some advice might be given. In the state of Yoga, the energies in one person make connections with the energies and consciousness of the other. There is also a systematic decoding process. Various hand movements and other mechanisms can be used to provide support. Performing a Workshop normally helps both of the people involved. As a cleansing or strengthening treatment, we can place one hand near a part of our body which has some weakness or damage or some unwanted energy. We may also place a hand or fingers directly on the body or make some movements of the hand. ​One hand will be kept open and still, palm upwards, to absorb subtle energy. A circuit is formed, with energy being received by the first hand and delivered by the second hand. An important chart, showing some key energy centres in the body and their projections on the hands, feet and head. Three energy channels are also shown. They pass through the centre of the spinal chord but function as if they are separate, with one on the left side of the body, one on the right side of the body and one in the centre. Many people will develop an awareness of the condition of their subtle energy system. The main energy centres may be felt on parts of the hands or feet. For example, the centre in the throat is connected to the forefinger. If there is a problem with the throat centre [ Vishuddhi Chakra ], some tension or pricking or heat may be felt on the forefinger. Sensations on the left hand relate more to the condition of the left side of the body. Sensations on the right hand relate more to the condition of the right side of the body. This new awareness of the energy centres is not limited to your own centres. You may start to feel the condition of the energy centres in other people. It can be easier to achieve Meditation in a room where a flame is burning. A candle could be used or, even better, an oil lamp. Lighting a stick of incense should also help. A flame can be held near the left side of the body to remove or reduce some unwanted energy nearby. A candle is generally used. Sometimes there is too much heat in the body, particularly in the liver. To absorb some of the heat, we can use ice in a plastic bottle or bag, wrapped in a thin cloth. At home we may sit for a short Meditation, with our feet in a bowl of warm, salty water. Some unwanted energies in the body can be absorbed by the salt and the water. This particularly helps the parts of the body and the energy centres below the chest. This is an advanced topic, which beginners may simply ignore. A mantra is a special type of sound or a prayer or a name or an idea, which you might speak out loud or just think inside. There should be some specific need or purpose or mechanism. Shri Adi Shakti Mataji, Shri Nirmala Devi, namoh namah. Many people use the repetition of mantras as a technique, hoping to achieve Meditation or falsely believing that they are thereby 'doing' Meditation. This is not recommended. We suggest that harm will result from the long term repetition of mantras. Reliable scientific evidence about the efficacy or the demerits of using mantras is probably unavailable. "While Jones and Hagen discovered new hazards, Junuh had discovered, as Bagger had so eloquently put it, how to stop thinking, without falling asleep." In the same way, you are moving in three dimensions of your life, of emotional and physical and mental being. You are not inside yourself but when you are inside that, you are in thoughtless awareness. Then, not only that you are there but you are everywhere because that is the place, that is the point, where you are really in universal... From there you are in contact with the principle, with the shakti, with the power that permeates into every particle that is matter, into every thought that is emotion, into every planning and thinking of the whole world. You permeate into all the elements that have created this beautiful earth. You permeate into Earth, you permeate into Akasha [ sky, ether ], into Tejas [ light ], into sound. But your movement is very slow. Then you say: 'I’m meditating.' That means you are moving in permeation with the universal being. But you are not moving yourself. You are just unloading yourself, to be free from the weight of things that do not allow you to move." ​"There are so many things I’ve said. There are so many lectures which I would like you to hear. I’ve told them that you must give them the tapes, it’s very important. You must sell the tapes to them and take the minimum. But you see these are beautiful, precious lectures, which I’ve seen people in other countries use them while travelling long distances. And also otherwise for Meditation, so many of them are working it out that way. ​So, if you really are interested in yourself, interested in your ascent, interested in becoming one with the whole, to be in the Kingdom of God, then please take these tapes, listen to them, meditate on them. Meditation will become very much easier." "When you are listening to my tapes, note down the points that Mother has said and see for yourself. So the education in Sahaja Yoga is very important, otherwise your intelligence will rust out. 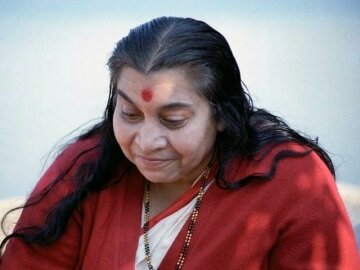 You must have full education of Sahaja Yoga. Only giving realisation is not the work. You must have, so others must know you are knowledgeable. The amount of education you've had nobody had before. No saint had it. ​So now, take full advantage. 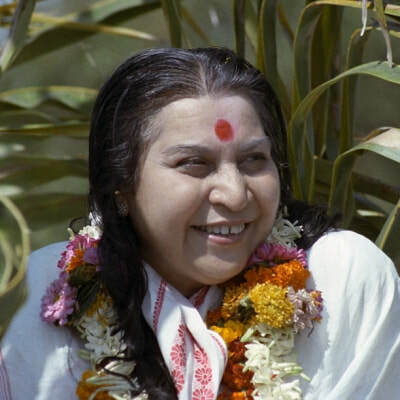 Whatever your age may be, education qualification may be, that doesn't matter but you should all know what is Sahaja Yoga, what it means, how it works out." January 2018 note: We will be presenting more extracts from Shri Mataji's speeches. This is a topic which you are likely to have encountered. In 2017 the magazine Scientific American reported that [ external website ] Mindfulness meditation and training is a $1.1 billion industry in the U.S.A.
We warn that promoters frequently refer to positive scientific evidence. In reality, there is a large muddle including much 'bad science' related to mindfulness and much of the so called evidence seems to be unreliable. Many experiments or clinical trials have been carried out but generally a proper analysis of the results is missing. There are also many different definitions of what mindfulness is and how it could be used. A significant contribution to the muddle is the lack of attention being given to understanding the nature of the mind itself. We do have a liver and kidneys and a heart, etc., in our body. Those things have a concrete existence and they can be seen, touched, etc., but the mind is a myth. There is no mind, as such. Clearly something called consciousness exists. Many parts of the brain do become active and also interactive. Thoughts are the common result. Feelings may be another result. However, consciousness does not vanish when the brain is not thinking. The Lead author of a recent report commented: "Our report does not mean that mindfulness meditation is not helpful for some things. But the scientific rigor just isn’t there yet to be making these big claims." He and his co-authors were also concerned that as of 2015, less than 25 percent of meditation trials included monitoring for potential negative effects of the intervention. 1) Recommendations about Mindfulness in schools, in a report from a UK parliamentary group, are criticised in a professional psychologist's blog, 2016. 2) TIME magazine article, 2017 How We Ruined Mindfulness. 3) Scientific American article, 2017 Mindfulness Training for Teens Fails Important Test.